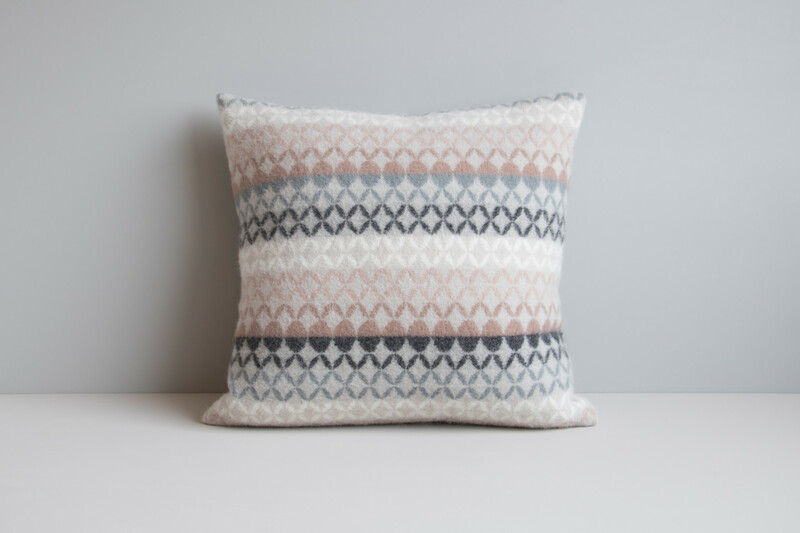 Pattern: Maske cushion I has asymmetrical colours. The pattern is the same on both sides of the cushion. 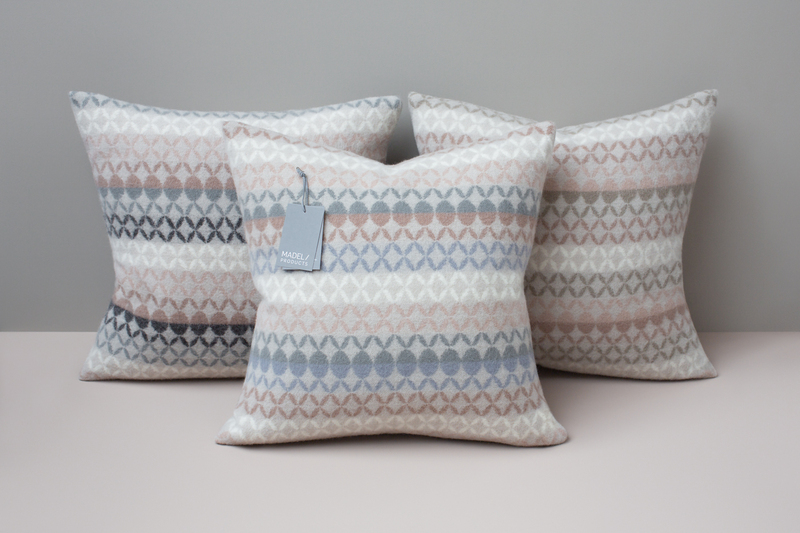 Insert cushion: Mascot Høie insert cushion with 800 g small duck feathers. Cover in downproof 100 % cotton cambric prevents feathers from coming through.